Tile, cabinets, sinks, and MORE! 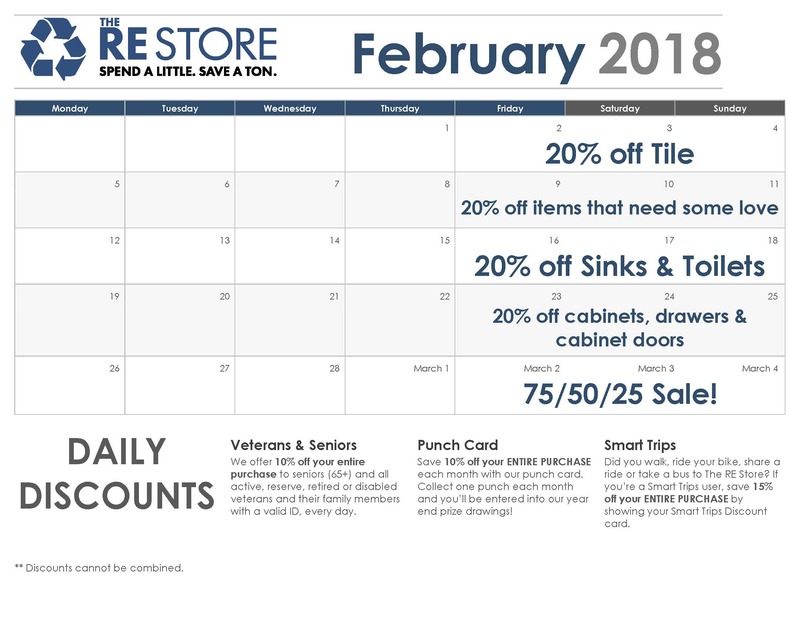 February 9th-11th means all items that need some love are 20% off, including items with broken wheels, chipped paint, and more. March 2nd-4th brings the amazing 75/50/25 sale: on Friday all iTek solar glass is 75% off, Saturday all garden items are 50% off, and on Sunday roofing, gutter, and decking materials are 25% off. Get ready for spring with these awesome deals!